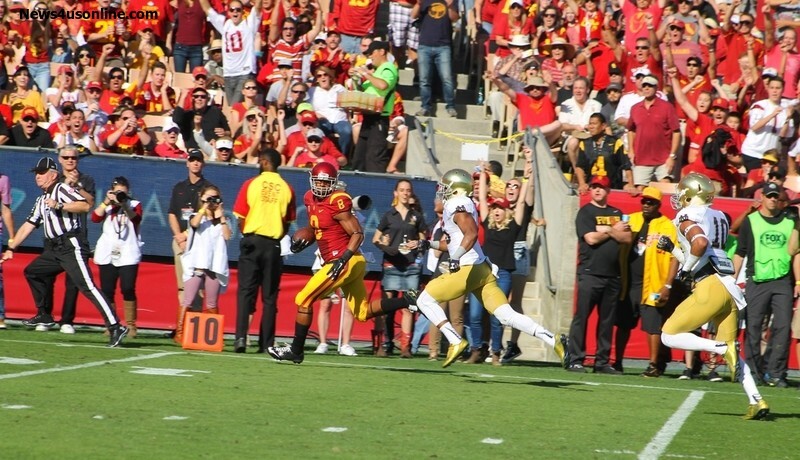 LOS ANGELES-Beating one of your archrival is not supposed to be as easy as the way the USC whooped on Notre Dame Saturday afternoon at the Los Angeles Memorial Coliseum. But the Trojans did, and they did it convincingly and with accurate precision-both on the offensive side of the ball and with pent up ferocity on the defensive end. No, this contest wasn’t even as close as the final 49-14 win may indicate on the scoreboard or the win column. 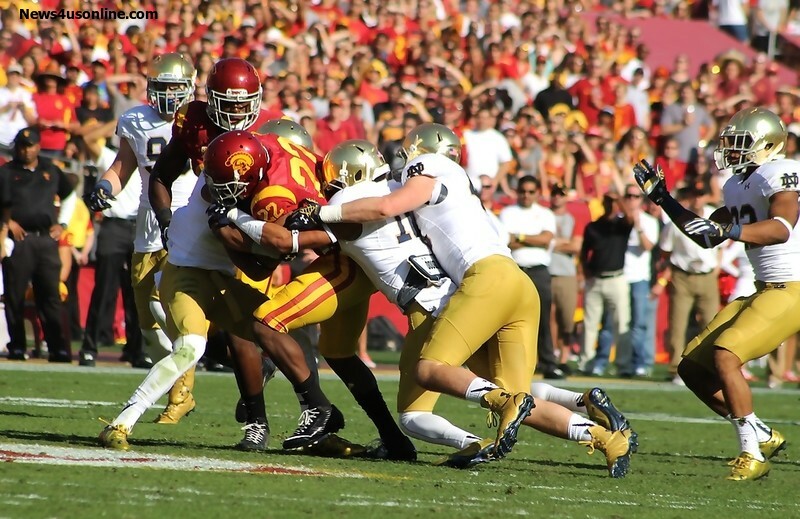 This beat down of the Fighting Irish was thorough and complete from start to finish. Actually, the game between the two longtime rivals was over by halftime with USC holding a 35-7 lead at the intermission. Game. Set. Over. The man most responsible for all the damage and heartache caused to Notre Dame and the the Fighting Irish faithful is the guy who has been virtually overlooked all season. 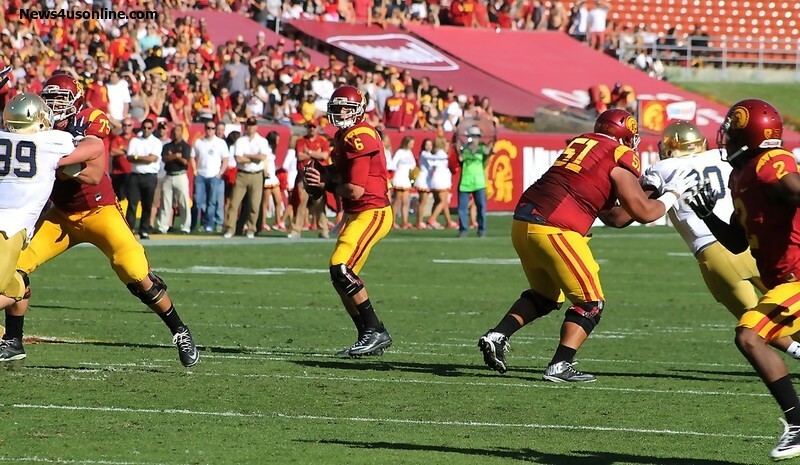 USC quarterback Cody Kessler just does what is expected of him week in and week out. Week in and week out, Kessler has almost always delivered for the Trojans this season. And that is pretty much an understatement. Simply put, Kessler is one of the top quarterbacks in the country. But because that other dude over in Westwood had pre-season Heisman Trophy hype written all over him, Kessler has performed under the radar. However, when you put up six touchdowns and 372 yards passing in a game against a good Notre Dame team as Kessler did, operating below the national media scope becomes a moot point. When the Trojans launch their 2015 fall football campaign, it’s almost a no-brainer that Kessler would have the Heisman machine backing him front and center. One of Kessler top targets for the afternoon was George Farmer, who took in the first score of the game on a 48-yard scoring pass. Farmer then caught Kessler’s third touchdown pass of the game to give USC a eye-opening 21-0 lead in the first quarter. Kessler’s final touchdown throw of the day-a 9-yard touchdown pass to Randall Telfer early in the third quarter to the score 42-7. 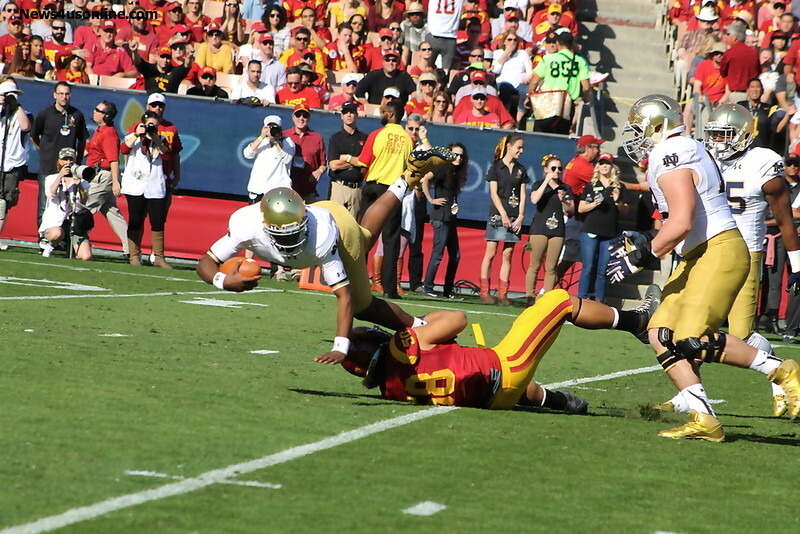 While much kudos go Kessler and the Trojans’ offense, USC’s defense made life miserable for Notre Dame quarterback Everett Golson, so much so that the Fighting Irish signal-caller was bench following his 7 for 18, 75 yards effort. The Trojans smothered Nore Dame’s offense all afternoon and was just as much as a contributor to USC’s win as Kessler and the team’s high-powered offense.